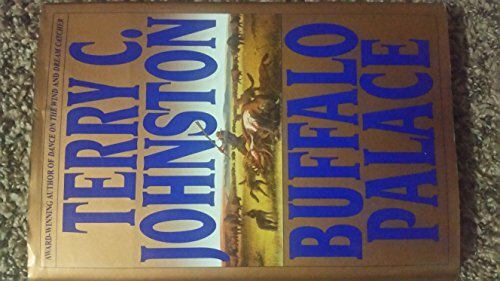 Buffalo Palace by Johnston, Terry C.: Bantam 9780553090741 Hardcover - Weller Book Works, A.B.A.A. <b>Terry C. Johnston </b>is recognized as a master of the American historical novel. His grand adventures of the American West combine the grace and beauty of a natural storyteller with complete dedication to historical accuracy and authenticity. Johnston was born on the first day of 1947 on the plains of Kansas, and lived all his life in the American West. His first novel, <i>Carry the Wind,</i> won the Medicine Pipe Bearer Award from the Western Writers of America, and his subsequent books have appeared on bestseller lists throughout the country. After writing more than thirty novels, he died in March 2001 in Millings, Montana.